Dad Photo Frame (Height 10 X Width 12 Inch)is the Best Gift for your Loved Dad. He will be so happy with this Wonderful Gift. 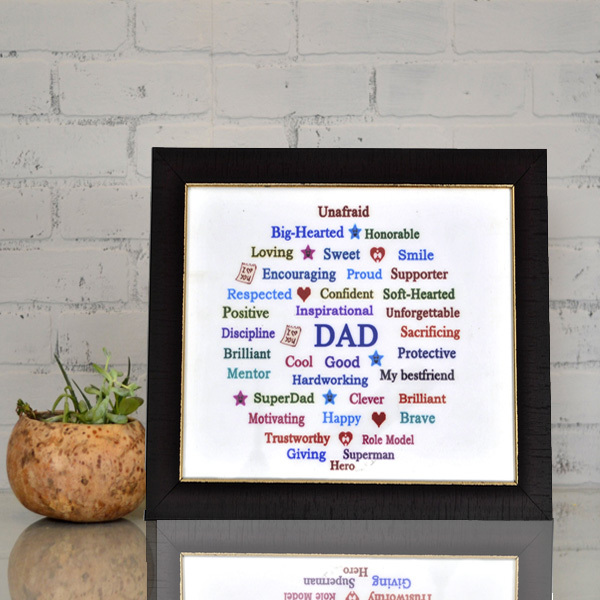 Dad Photo Frame is a description about your dad and it expresses your feelings.Give this photo frame as a gift on fathers day or on your fathers birthday and surprise him. This Frame is Available Only in Vijayawada. Same day delivery is Possible in Vijayawada.